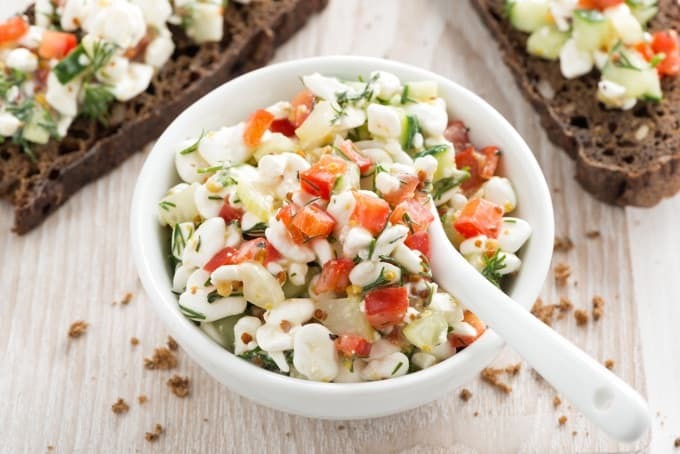 Cottage cheese is one of those foods that people tend to love or hate. I have been a huge fan since first discovering its healthy diet food status back in the 1970s. 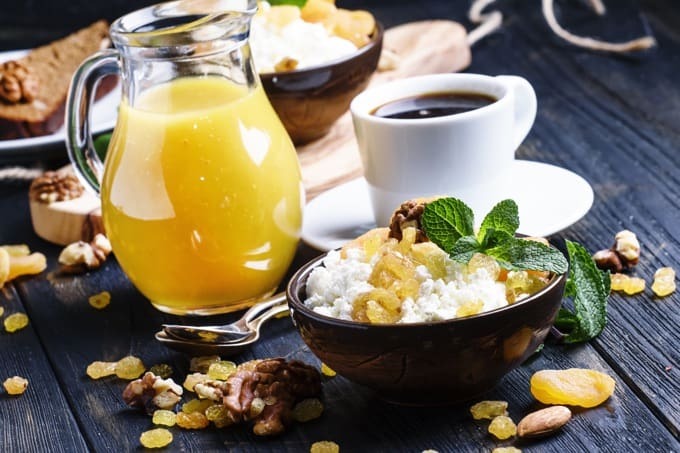 Cottage cheese is much more than a boring diet food. 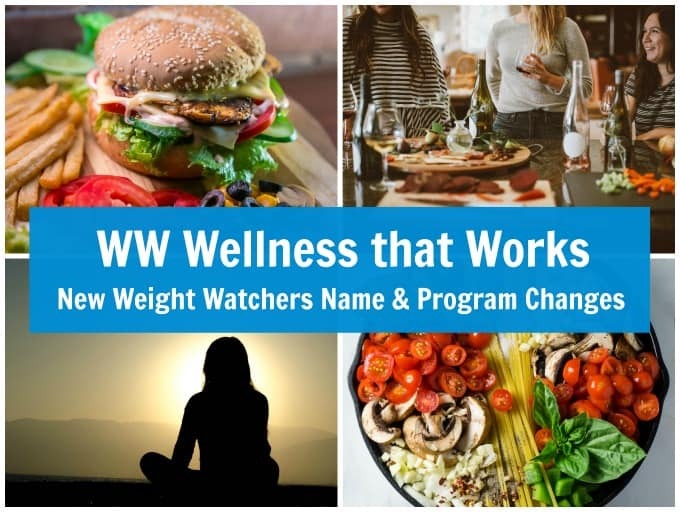 It can be enjoyed in so many ways – on its own, with fruit or salad, on toast, as a vintage Weight Watchers “Danish” and in a wide variety of both sweet and savory dishes. 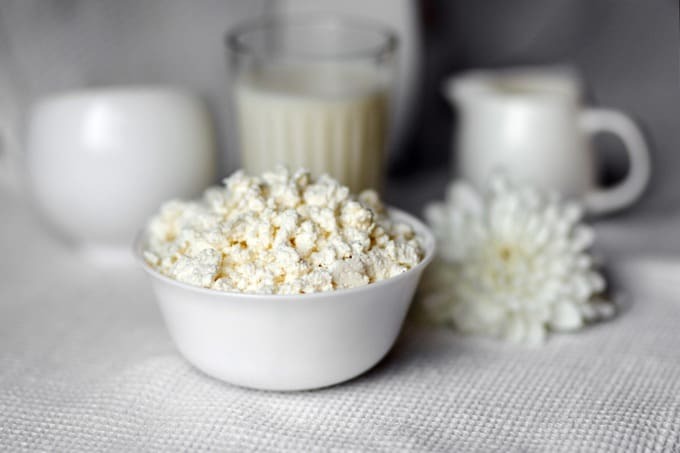 How Do You Make Homemade Cottage Cheese? 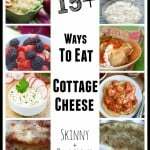 As a lazy cook, I’ve never considered making cottage cheese myself. You can find it at most any grocery story. I’m sure the fresh homemade version tastes amazing. 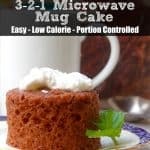 So if you’re curious here’s a Quick Cottage Cheese Recipe from Alton Brown at the Food Network. Are you put off my the texture of cottage cheese? 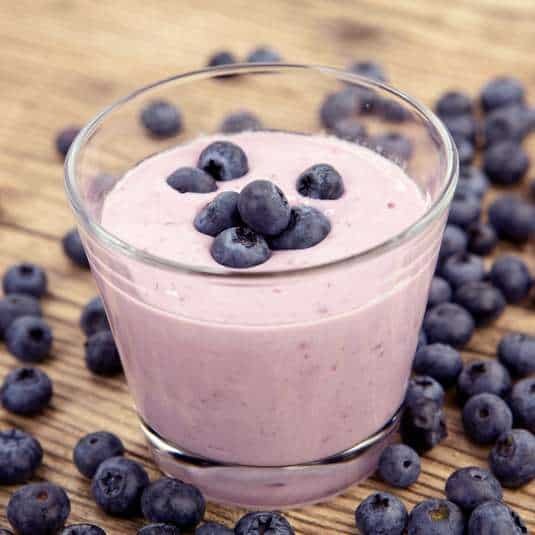 To give your cottage cheese a smooth consistency, give it a whirl in a food processor (affiliate link) or blender (affiliate link). Then it becomes a healthier alternative to sour cream in your favorite dip recipe or as a tasty topping for baked potatoes. This was a popular low fat alternative back in the “old days” before Greek yogurt came into vogue. This smooth whipped cottage cheese is also delicious slathered on a bagel, or pancakes, with jam. #1 Serve it with fruit. One of my favorite ways to eat cottage cheese is with fruit. It’s a match made it heaven. Or get fancy and make this cottage cheese banana split. #2 Mix it with nut butter. Stir a tablespoon of your favorite nut butter into a half cup of cottage cheese. Use it to stuff celery or spread on whole grain toast or crackers. #3 Add it to smoothies. Blend it into your favorite fruit smoothie or green smoothie recipe for an extra boost of protein. 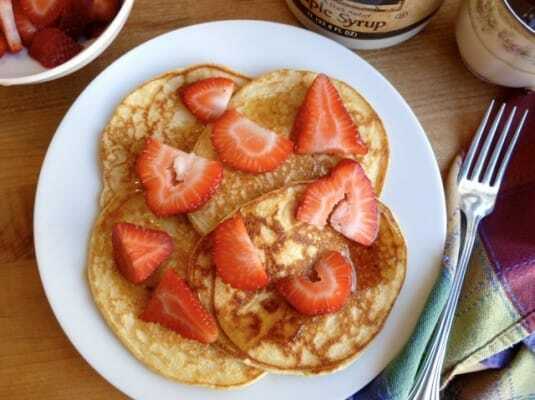 #4 Add it to pancake batter to make Cottage Cheese Pancakes, which are much higher in protein than regular ones, but taste just as delicious. 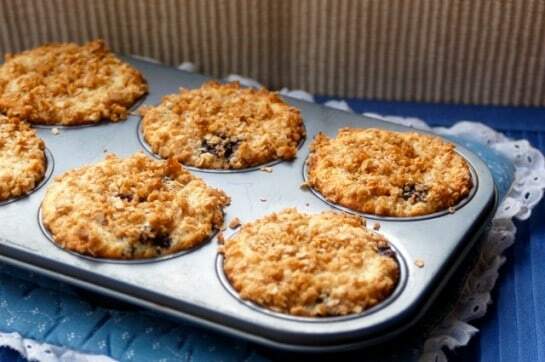 #5 Make muffins. Stir into muffin batter to make blueberry cheesecake muffins like Kristina did over at Love and Zest. #6 Stir it into pasta. The cottage cheese gets warm and creamy and is especially good with lots of freshly ground pepper. 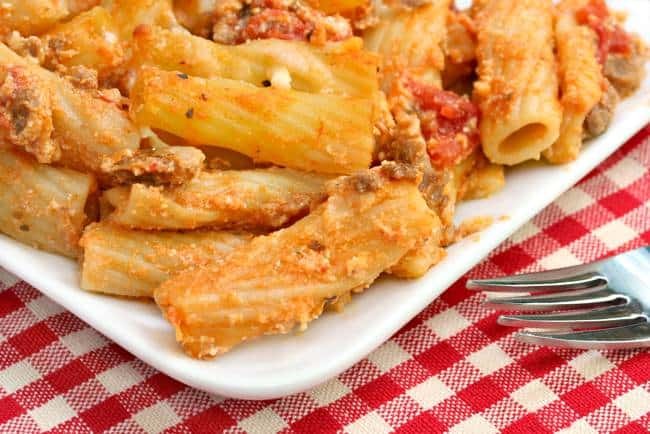 #7 Or use it instead of ricotta cheese in Lasagna, Baked Pasta with Zucchini and Cottage Cheese in Casserole Dish or Mom’s Easy Baked Ziti. One of my favorite ways to use cottage cheese with pasta with less fat and more protein - simple, healthy and delicious! Cook the orzo in plenty of boiling salted water until tender. 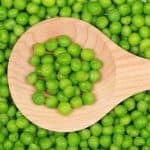 While the orzo is cooking, place the peas in a colander in a the sink. While the water boils and orzo cooks, in a medium-sized bowl, combine the cottage cheese, salt, scallions, lemon zest, and black pepper. Mix until well combined. When the orzo is done, drain into the colander right onto the peas. 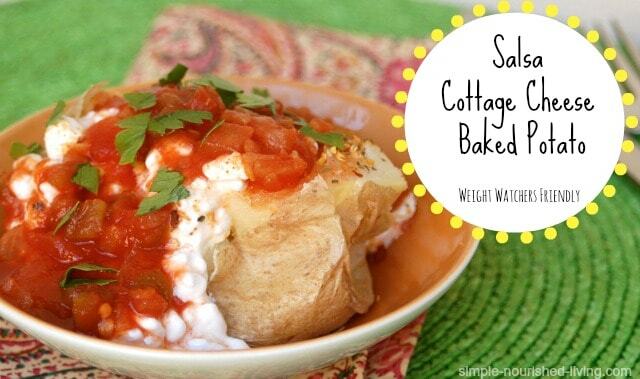 Shake off the excess water and dump into the bowl with the cottage cheese mixture. 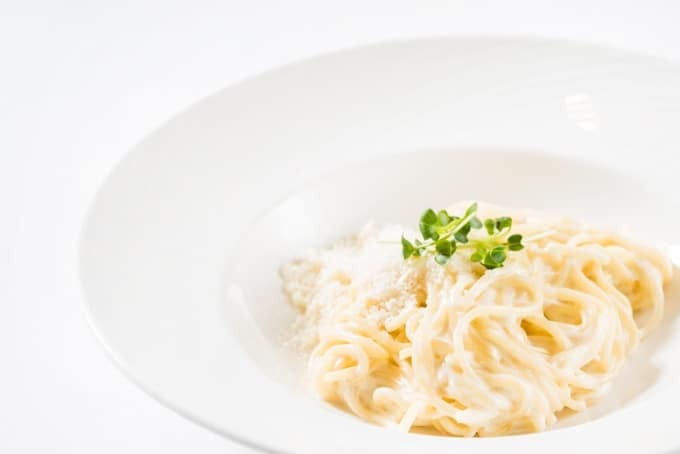 Stir gently and sprinkle with grated parmesan. #9 Serve it on a baked potato with salsa. 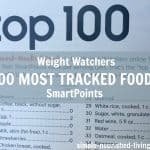 For an incredible quick, easy and healthy lunch or dinner, one of my favorite ways to eat cottage cheese I learned years ago from Weight Watchers. #10 Spread it on toast. 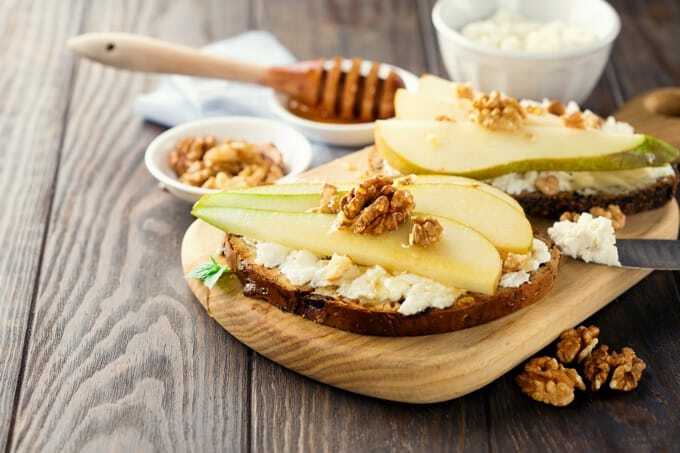 for a vintage Weigh Watchers “danish.” I love cottage cheese spread on toasted raisin bread, then sprinkled with cinnamon and chopped walnuts. Or make this vintage “WW Danish”. 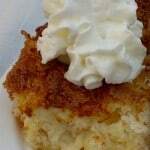 #11 Spread it on thin slices of apple and sprinkle with cinnamon. 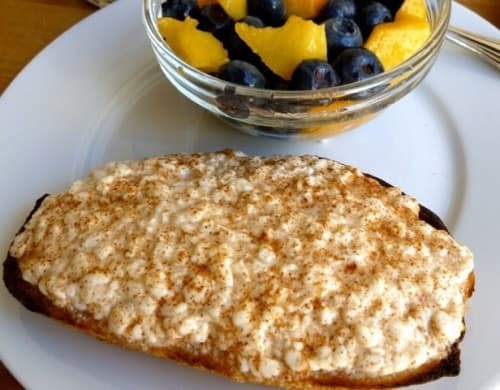 Perfect for breakfast or a healthy after school snack. #12 Add a spoonful while you’re making scrambled eggs. It’ll give you the cheesy flavor you crave with an extra dose of protein. Or try this light + healthy spinach and feta crustless quiche. 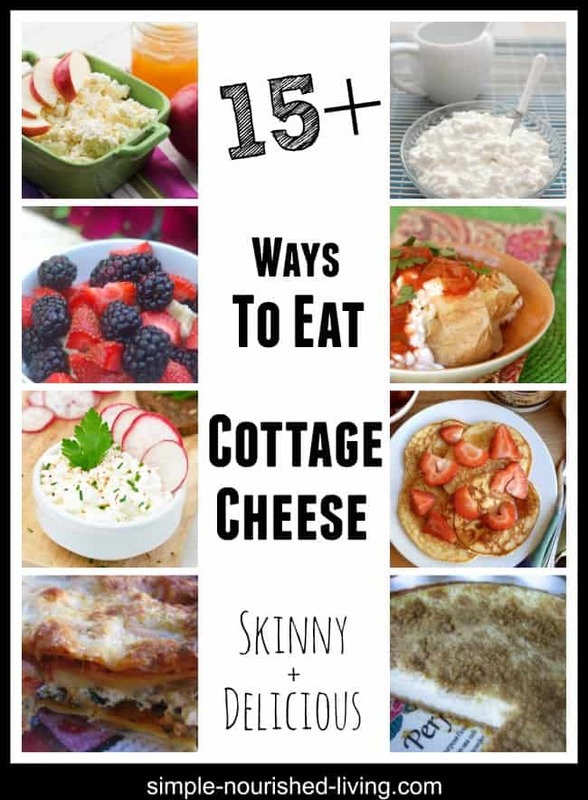 #13 Use cottage cheese as a substitute for sour cream. 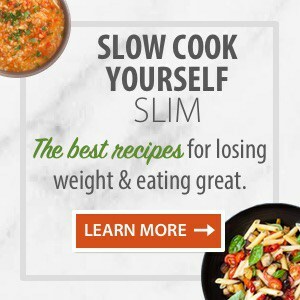 First buzz it in a blender (affiliate link) or food processor (affiliate link), with the tiniest bit of boiling water to make it make it creamy and then you can use it to make all kinds of skinny dips. #14 Season it with your favorite spice blend. Lemon pepper, Mrs. Dash, Old Bay and Herbamare all work well. Spread on vegetables or whole grain crackers of stuff into celery or hollowed out tomatoes. #15 Stir in some pesto with it. Then enjoy as a dip or spread for vegetables or crackers or stuffed into hollowed out cherry tomatoes. # 16 Mix it with chopped vegetables or tuna or shrimp to make a salad. Makes another great dip or spread perfect with toasted whole grain bread, crackers, or vegetables. Food doesn’t get much faster than this. This is best with large-curd cottage cheese, preferably organic. Put some on a plate, season with sea salt and coarse freshly ground black pepper, then drizzle a little extra virgin olive oil (affiliate link) over the top. Enjoy with whole grain bread or crackers. WW has also updated their program to SmartPoints from PointsPlus – click here to learn more about SmartPoints. Cottage cheese is so healthy n it is a staple in Indian households . I make it at home n use it in many ways . Though i never tried it with sea food . When you fry eggs you can put some of it, i found this the best way to eat. Great idea, Maher Abu Zer! 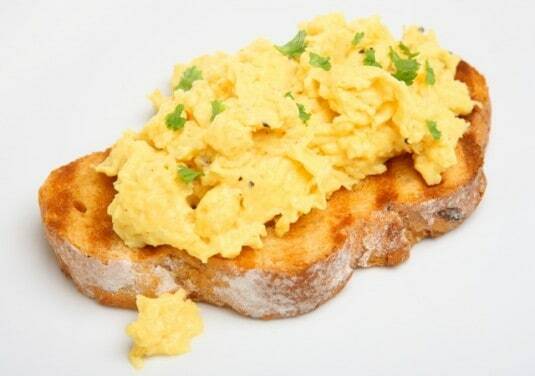 Cottage cheese added to fried scrambled eggs. Try sprinkling couple tablespoons of cocoa powder and liquid honey on top of ~ 500 grams of cottage cheese and mix it up. I would have never believed something could taste so good without having much carbs and/or fats in it. Thanks, John. I’ll definitely give it a try. 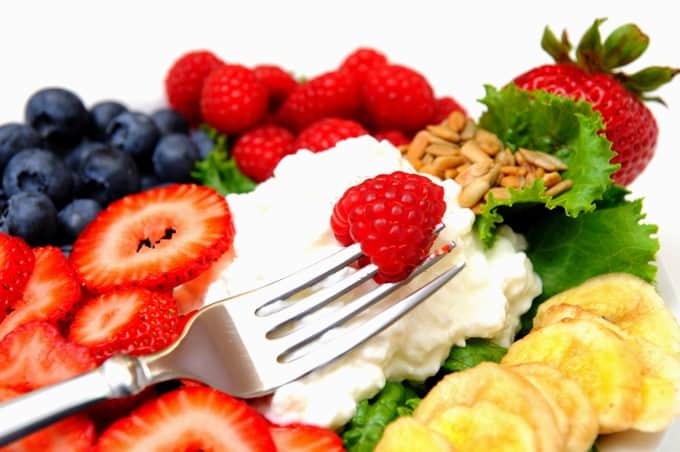 Cottage cheese and strawberries are the best, it tastes good and a great alternative for casien protien.? 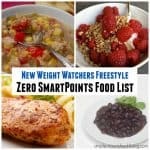 As berries are better fresh, most of the time I cut up a juicy pear on my cottage cheese. It’s delicious. Thanks Kennon, I look forward to trying this! 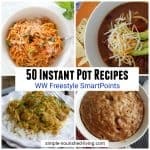 What are the freestyle smart points for the Orzo and Pea recipe? I cannot use the WW calculator because some of the nutritional information is missing. Thank you. Combine for a tasty winter salad. Thanks for sharing this yummy winter salad with cottage cheese recipe Kathy! Try keeping a can of cold no sugar added fruit cocktail in the refrig. When you want a low fat cold dessert mix fruit cocktail with some cottage very addictive and yummy. I make a Peach Parfait with Cottage cheese! 1/2 Cup of chopped canned peaches in water. Mix and then travel to heaven on the end of a spoon! You can even make it the night before and leave it in the fridge. Just mix when ready to eat. Absolutely to die for.